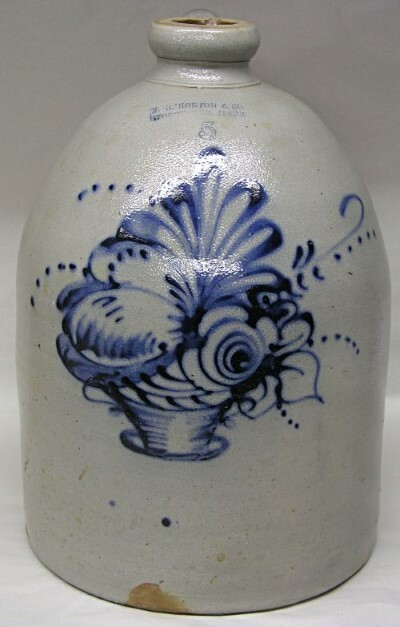 Five gallon F.B.Norton Worcester stoneware jug with large basket of flowers. 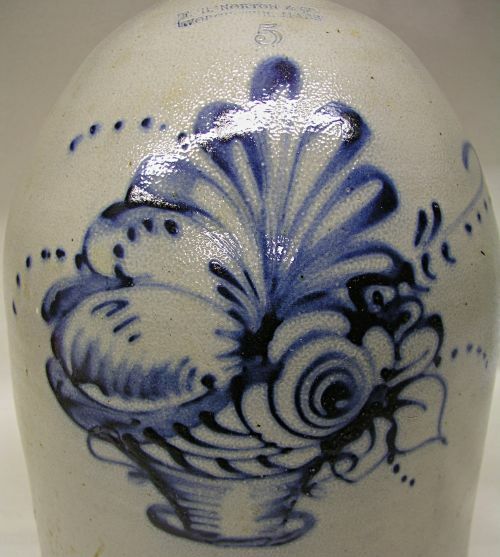 Very large size with crisp bright blue decoration. Wonderful condition with no chips cracks or restoration.